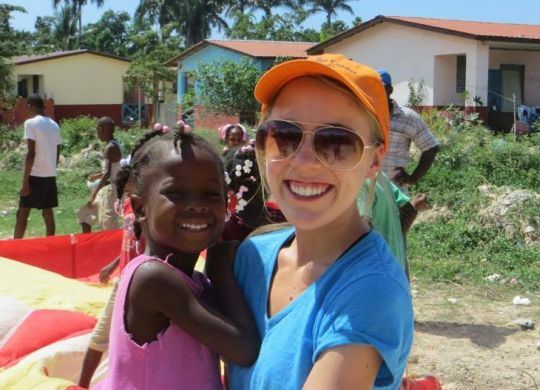 After a massive 7.0-magnitude earthquake struck Haiti in January of 2010, killing more than 200,000 people and destroying about the same amount of homes, the outpouring of support for Haitians was impressive. Millions of Americans, Canadians and others took to their smart phones and computers or whipped out their checkbooks and gave generously. More than $9.5 billion was raised for Haiti in the two years following the quake. The vast majority went to charities with a lot of name recognition and nonprofits with already sizeable budgets and bureaucracies. But there was a problem: Haiti was and still is a very difficult place to work. The typical major nonprofit relief style of parachuting into a disaster zone and managing the effort rarely worked. And when it came time to rebuild homes, most Haitian families instead found themselves in tents or flimsy transitional shelters. As they waited for permanent, safe homes, the spotlight faded from Haiti and attention turned to other disasters. Tents and temporary shelters became all too permanent. With just 12 percent of the $9.5 billion originally pledged for Haiti, The Fuller Center could have partnered with Haitian families to rebuild every single home destroyed by the quake. Meanwhile, a small, grass-roots Christian housing ministry was called to help Haitians build permanent homes. While less than $1 million of that $9.5 billion was directed to The Fuller Center for Housing, the nonprofit founded by Millard and Linda Fuller in 2005 nevertheless began to set the standard for nonprofit work in Haiti. Since 2010, The Fuller Center has built more than 185 permanent homes. To put that impact in perspective, with just 12 percent of the $9.5 billion originally pledged for Haiti, The Fuller Center could have partnered with Haitian families to rebuild every single home destroyed by the quake. 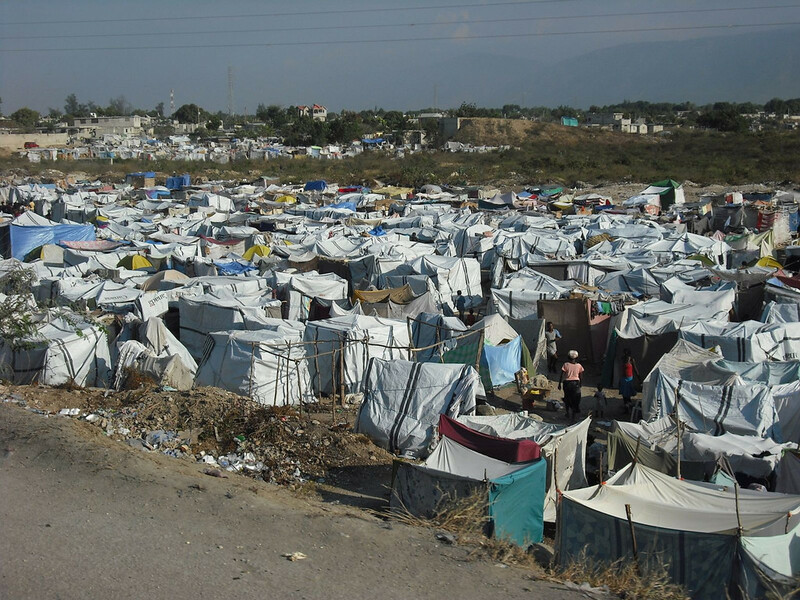 Too many tents and “transitional” houses would become permanent in Haiti in the years following the 2010 quake. How did The Fuller Center succeed where others failed? Well, myriad reasons. One, The Fuller Center practices “enlightened charity” in which families are full partners in the building process — whether that’s in Haiti, Nepal or here in the United States. Long before the quake hit Haiti, decades of well-meaning handouts created a culture of dependency in the Western Hemisphere’s poorest country. That culture of dependency was exacerbated by many relief efforts following the quake. It’s not easy to change such a mind-set in one person, and it’s even tougher to change the mind-sets of millions. Few were interested in The Fuller Center’s partnership approach at first. A few families accepted the offer of a hand-up to build east of Port-au-Prince in Croix des Bouquets and west of the capital near Gressier. Slowly but surely, people began to notice that Fuller Center partner families were empowered, while those waiting around for handouts remained diminished. Another major factor in The Fuller Center’s success internationally — and particularly in Haiti — is that the ministry works through local partners who already have an established presence on the ground. These local leaders are best equipped to work with third world government and deal with cultural nuances and often complex or vague regulatory environments. One of those partners in Haiti was Grace International, which recognized the impact The Fuller Center was having house by house. They sought to concentrate that kind of impact in a single location. What resulted was a 56-home community called Lambi Village, a place where children’s laughter fills the tropical air and families have carved out a sustainable, healthy way of life in the countryside. Haiti’s Lambi Village is home to 56 Fuller Center partner families. 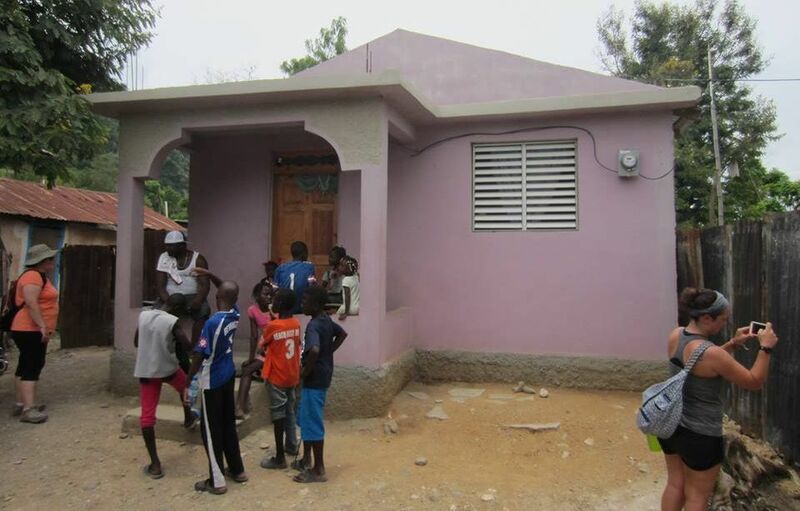 The community was completed in 2014 thanks to the hard work of Haitian locals, teams of Fuller Center Global Builders volunteers and financial support of private donors and groups like the United Church of Christ, which, to date, has funded the construction of 32 Fuller Center homes in Haiti. That success only planted more seeds of hope in Haiti, and The Fuller Center’s work has continued to grow. Since Lambi was completed, a more traditional Fuller Center partner formed in the northern town of Pignon, which remains busy hosting Global Builders volunteers and has built more than 25 beautiful new homes. Fuller Center home in Pignon, Haiti. Yet another reason The Fuller Center’s work remains a success in Haiti is that unlike many larger nonprofits, the housing ministry works to help families build healthy lives outside of large third-world cities and slums. Those ugly images of flimsy shacks, filthy streets and sad faces from Port-au-Prince are opposite of what our volunteers witness in the countryside. Haiti is a beautiful country of happy families. You just have to look — and work — in the right places. 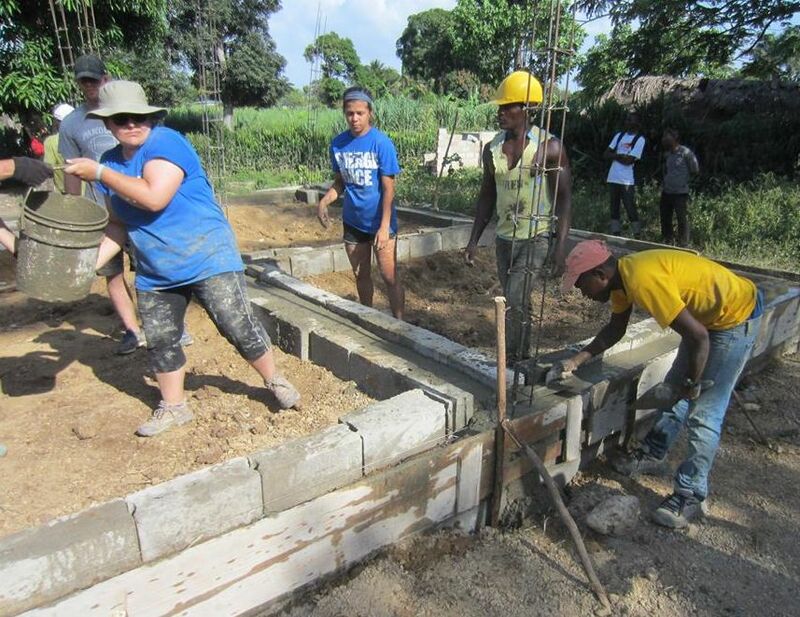 And while The Fuller Center utilizes volunteer labor (mostly from the United States), it also provides employment for Haitian laborers, especially masons. The volunteer teams work alongside locals instead of taking work from them. In fact, they support many other professions, including cooks, drivers and hotel staffs. Fuller Center Global Builders volunteers work alongside local laborers. I would like to be optimistic and believe that in the wake of Hurricane Matthew, more people will search out the effective, grass-roots nonprofits like The Fuller Center who are making a direct, tangible impact in Haiti. But I fear there will be a repeat of massive amounts of well-meaning charitable gifts being sent down the usual, familiar paths. Again, millions likely will be squandered. I’d urge anyone who wants to help Haitians to do your research. Visit the nonprofit’s website and peruse their financials. If they are not easily found (you can find The Fuller Center’s here), be wary. If they don’t have a record of transparency (The Fuller Center has received GuideStar’s Platinum rating for transparency), keep looking. In short, make sure your good will is not squandered. We saw enough of that six years ago. The Fuller Center intends to expand its work in Haiti yet again in the wake of Matthew as the ministry is in active discussions with individuals and organizations planning to help residents in the Les Cayes/Port Salut area, which was among the regions hardest-hit by the recent hurricane. With your support, The Fuller Center will have a direct, permanent impact for more Haitian families and show other organizations how to get the job done right. Extend a hand-up that empowers families and lights a beacon of hope for a country desperately in need of it.